Brand new track on Metal Hammer CD! You’ve all probably heard our new single ‘Here Forever’ by now! If you want more, go pick up a copy of this months Metal Hammer magazine, in shops now. 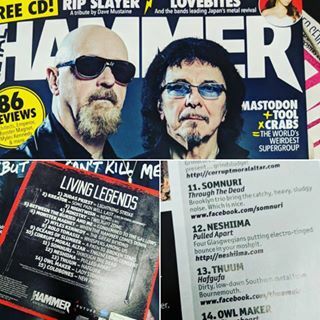 Our track ‘Pulled Apart’ from the upcoming EP ‘Purple’ is featured on the Living Legends free CD alongside some great names of rock and metal. ‘Purple’ is available from 23rd March and you can pre-order on iTunes here.